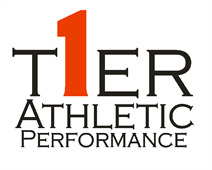 Welcome to Tier 1 Athletics! Please complete the following registration form. I understand that I will not be permitted to Participate in Tier 1 Activities without executing this Waiver and Release. As a condition of my Participation in Tier 1 Activities , I grant Tier 1, and its employees, members, partners, officers and agents perpetual and nonrevocable permission to use my name, photographs and video in which my image and likeness appears in connection with my Participation in Tier 1 Activities and further grant permission to display, publish, distribute, use, print and reprint such images and likeness, and the right to employ such images or likeness in advertising and promotions relating thereto or to Tier 1, or any Activities at or related to Tier 1, including any advertisements or media and electronic displays and transmissions thereof (herein "Likeness Rights"). I release Tier 1 and its employees, members, partners, officers and agents from any and all liability for damages for use in any manner or media of the Likeness Rights, and waive any and all claims and causes of action for damages for use of the Likeness Rights, including but not limited to: unauthorized use of my likeness, image, character or persona; violation of my right of publicity or privacy; and for copyright or moral rights infringement, defamation, or being cast in a bad light. Westmont; The City of Plainfield; Tier 1, Inc.; Tier 1 ; and the officers, members, directors, employees, representatives, independent contractors, family members, and agents ("Releasees") of any and all of the above in connection with any claim arising from or in any way connected with my Participation in Tier 1 Activities at the Facilities and/or use of the Equipment, whenever or however they occur and for such period said activities may continue. I AGREE NOT TO BRING ANY CLAIM AGAINST RELEASEES, which claims concern in any way death, injury, damage, or loss of any type or nature, which arise out of, are related to, or are in any way connected with attending, participating in, volunteering at or spectating at Tier 1 Activities , and/or which arise out of or are connected in any way with my use of, or my presence at the Facility(ies) at which (those) activities held, whether injury, death or disability, loss or damage is caused in whole or in part by negligence, gross carelessness, or other acts or failure to act of those persons or entities. executing the release, which if known by him must have materially affected his settlement with the debtor." YEARS, MY PARENT/GUARDIAN HAS READ AND COMPLETED THE SECTION BELOW. If any credit card, check or bank draft is declined there will be a $35 NSF fee added to your account.